Today is officially the first day of January, 2012 and it's time to slough off the old and begin anew with brand new goals, hopes, dreams, and ideas for self improvement for another year. In this video, I share what my personal goals for this year are. 1. Redesign my blog, Youtube, twitter, etc. I'm a night owl by nature and I've always had trouble falling asleep ever since I was a child, so going to bed "on time" has always been a challenge for me. I just feel more awake and productive at night! Unfortunately, this leads to tired, unproductive, and long work days where I just feel like I'm not operating at 100%. I really want to change that this year for my health and workday efficiency. 7-8 hours of sleep every night! Bright, productive days full of energy! Yes, please! I honestly detest deep cleaning my brushes. It's probably one of my least favorite things to do when it comes to makeup maintenance. I have a ton of brushes and this fact has enabled me to go through brush after brush before I finally use them all up and am forced to deep clean the whole lot which takes a very long time. Since it's annoying using second and third-tier brushes that I don't love as much, I've decided that I want to curate a selection of favorite brushes which I can stick to and deep clean once a week. Hopefully soon, I can share with you this group of favorites as well as showing how I both spot clean and deep clean my brushes! I know this really isn't beauty, health, or blog-related but I want to get back into reading. I've always been a big nerdy bookworm and really enjoy delving into some nice fiction about free-thinkers breaking from a socialist society (o hai Hunger Games, Brave New World, Animal Farm, Anthem) or children rising beyond their youth and maturity levels to be the hero (Ender's Game, Harry Potter, Chronicles of Narnia) or even guilty pleasure reads (Charlane Harris's "True Blood" vampire series, Twilight). My goal is to finish at least 1 book per month with the key word being finish, as the past year saw a few books half-read and abandoned. I've listed a few books above that are in my queue but let me know your suggestions of good page-turners! Fingers crossed I will stick to all of my goals this year! 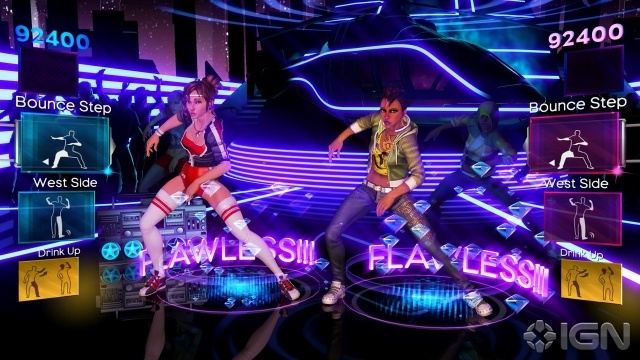 Do you have any resolutions for 2012? Let me know in the comments! You need to read the Hunger Game series! I'm not much of a reader either.. BUT these books are awesome :) Also getting a Nook Color or Kindle Fire will help! can't wait to see your new blog layout!!! Fantastic goals. My blog needs a major redesign too. Sent you an email about your blog redesign!! Good luck with your goals and happy new year! My favorite book of all-time is "White Oleander" by Janet Fitch. I read it anytime I need inspiration, and I always find it in the poetry of her prose. I've probably read it cover-to-cover over 20 times. Seriously. Based on your affinity for "Hunger Games," "Animal Farm," and "Brave New World," I think you might really enjoy a book called "Ender's Game." It's by Orson Scott Card, and it had its 20th anniversary last year. Yes, it's technically science fiction, but it's unlike any sci-fi book I've ever read. I love it, and I typically do not like anything of the sci-fi genre. For light-hearted beach reads, I absolutely adore "The Nanny Diaries" by Emma McLaughlin and Nicola Kraus, and "The Ivy Chronicles," by Karen Quinn. I read a lot, and those are my best recommendations for you. Hope you enjoy! Love, love, love your blog. P.S. You kill me with your videos when you talk about every item of makeup, jewelry, and clothing that you're wearing, but you FORGET TO TALK ABOUT YOUR GORGEOUS NAIL POLISH!!! :-) I keep waiting for you to tell us what polish you were rocking in your birthday post, but so far--no love. I found your blog through ones on nail polish. Don't forget to tell us what's on your pretty nails! As a fellow insomniac, I feel I need to warn you that the bright backlighting on the iPad can send signals to your brain that it's time to wake up rather than time to sleep! So if you want bedtime reading it might be nice to indulge in some real bound paper books =^_^= Happy reading! Great goals. I have the book goal too. I got a Nook simple touch for Christmas because I knew I wanted to get into reading more, and I think it was a good investment. If you do end up getting a reader, I would advise against a tablet one (go for e-ink only). E-ink will be easier on your eyes and, like someone else said, will be better to use before bed. Since you are a designer I think you might like the book "The Cheese Monkeys." It is about a design student. You should read Sarah's Key. It's really depressing, but absolutely worth it. There's also a movie. I'm dedicating my New Years Resolutions to one of my friends who recently passed away on Christmas Day. This year, I plan to take a more optimistic outlook on life and focus less on materialistic things. She had always put others ahead of herself and I want to honor her memory by focusing on things that really matter in life (family, friends, love, happiness). It's still extremely painful for me to think about the fact that I'll never be able to physically see or talk to her again but I know she's in a better place. If you could say a prayer for her and her family, I'd really appreciate it. I also want to thank you, Jen, for all of your wonderful videos. I hope you fulfill all of your New Years resolutions and wish you all the best. Ha! I HATE cleaning my brushes as well! Which set do you have in that pic? I'm looking for some good ones, my current ones (Bare Escentuals ones) leave bristles behind and itches my face sometimes. Thanks! I can highly recommend "The Kite Runner" and "A Thousand Splendid Suns" both by Kahled Hosseini. Also for brave kids I've really enjoyed reading the Mortal Instruments series by Cassandra Claire. If you're looking for a way to keep track and find interesting new books check our Goodreads.com. I really love that site!! I've been reading Cecelia Ahern! Her books are so heart-warming :) Try 'em, if you like! first of all... happy new year. i am also planning to read some inspirational books in this year..
i have got name of lots of good books from the comments here. Ia m surely gonna look 4ward to all theses books. Great goals for the New Year! I still haven't sat down and figured mine out, other than 'pay down debt' and 'quit smoking'. if you like vampire books, a great one is Vampire Academy by Richelle Mead.Eragon if you dont have much to do. its kinda slow but the good parts are worth it. You must read The Girl with the Dragon Tattoo series (Milennium trilogy) and all three of the Hunger Games! I used to hate reading and would rather watch tv or movies than pick up a book as a child... now I wish I read more. Last xmas I got a Nook and read both series and started on Game of Thrones... which you had mentioned in a tweet a while back. Reading is a good resolution along with being healthy, eat right and exercise and sleep more haha. When I first read your blog you'd just changed your blog layout. It will be so refreshing to see a new layout. My resolutions were- to study at least 2 hrs a day, I'm a post graduate in medicine (I'm your age). And to sleep early "Early to bed, early to rise." But you reminded me of one more thing which I need to do- get back into reading habit. I so know what you mean by "abandoned books". I too need to get my nerd back on! I don't know if you've read it but it's a nice novel- Princess : A True Story of Life Inside Saudi Arabia’s Royal Family. Or simply read a thrilling Dan Brown if you haven't already. Favorite- Angels and Demons. Don't want to make it a super long post- last word: I love your blog even though being in India I don't get the same products, but I visit your blog almost daily just because it's so... well it's like a sun beam! And you are like a sunshine.. lol!! Have an awesome year ahead! My sincerest best wishes and love! You have great new year resolutions! I really need to wash my brushes regularly, too! Thanks for sharing your goals for next year! The sleep one is so important. I am a student at UC Berkeley and was fortunate to enroll in a psychology class focused on sleep. 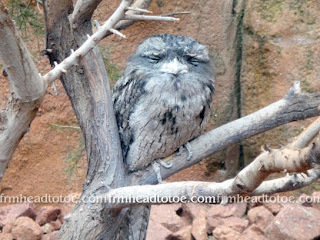 At the beginning of that academic semester I was still a notorious night owl. But the class really taught me to prioritize my sleep, and made me realize how important it is for overall well being. Today I feel like I am a whole new person! I wake up by myself, without an alarm at around the same time every morning and I feel well rested and harmonious throughout the day. I cannot believe that this is me, but I certainly like it! Happy new year! Those are some great resolutions and I know what you mean about washing brushes regularly! Can't wait for you to show us how you clean your brushes! Hahaha #3 made me lol.. can't wait to see new layout girl! Plastic Cup of Stars: Ender's Game was another one I mentioned in my blog post that I love! It's one of my favorite books of all time! I'll look into your other suggestions. My nailpolish is Sally Hansen Tyin' The Knot (I bought it for less than $2 from the CVS beauty clearance!) with Sephora for OPI's Traffic Stopper Copper on top. SOFIE: OMG! You must share with me the ways of your Jedi-sleep class! Hi Jen, I just recently found your blog and I LOVE it. Your videos and posts are so cute and cheerful, not to mention inspirational. Can't wait to see the new layout, and good luck on your resolutions! Thanks for all of your wonderful posts, can't wait to see the new layout! A friend told me about your blog and she was right, I would love it =) I actually was inspired by both yours and Michelle Phan's tutorials for my NYE make up. Also you have got to read Girl with the Dragon Tattoo. Am on the third one (Girl who Kicked the Hornets Nest) and he was an awesome writer!! I love YA books too! I'm 23 :P One of my favorite authors is Sarah Dessen, I read her "The Truth About Forever" last year. Been trying to get back into the genre since the last time I read any YA books in high school. Do you have any YA recs? My friend has been harassing me to read Archangel by Sharon Shinn. She swears to me that it is a good book and it's been on my desk for about 6 months, but I believe her that it is a good book. 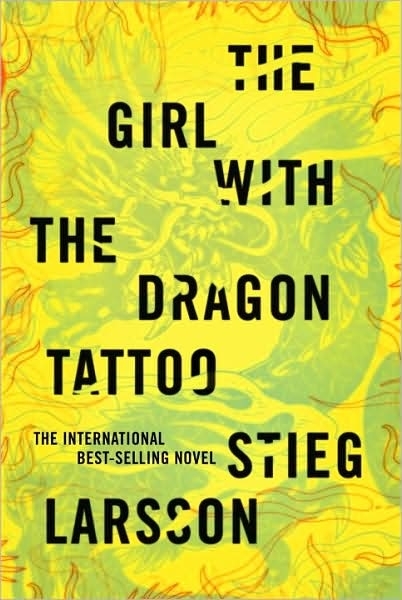 I love The Girl With the Dragon Tattoo and the other 2 books of the series, you definitely won't be disappointed with that. I enjoyed Extremely Loud and Incredibly Close although I did not think that I would at all. I'm a huge fan of Battle Royale even if it's translated lol. The Immortal Life of Henrietta Lacks is another really good read. It is a nonfiction book, but I could not put it down. State of Fear by Michael something is another interesting read. It was required for one of my english classes, but really caught me by surprise and was a really good read. I finished that in a day and I never do that. I recently started reading your blog and really enjoy it :) For my new years resolution, I have decided that I want to focus more on taking care of myself -- including learning to wear makeup. I am really a little frightened and overwhelmed by this thought since I am in my late 20s and have never really done the makeup thing. I was adopted and raised by non-asians, and still don't really have any asian friends to give me makeup pointers. I've watched a few of your videos and appreciate all of the info, but I still really don't know where to start. I would truly appreciate any and all help. You make it look so easy. I wish you all the best in the coming new year. I am looking forward to see your video about your favorite brushes. 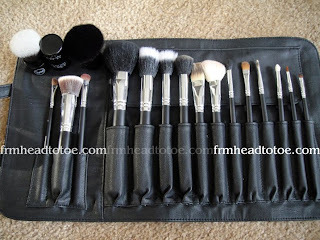 I have over 20 brushes at home, but still think that i cant find the best one. Especially to apply my brushes. Hey Jan, I can totally relate with the sleeping early part. For the last few yrs, I've been telling myself I need to sleep by midnight the latest so I can get at least 7-8hrs of sleep. But like you, I feel I'm more productive especially late at night. Also, I have trouble falling into a deep sleep! My frd suggested trying Chamomile tea an hr before bed to try and calm yourself down. I haven't tried that myself but might someday. Hi Jen, happy new year! Just wanted to say that I love your blog & watch your videos regularly. :) Just a random question, what do you use to clean your brushes? 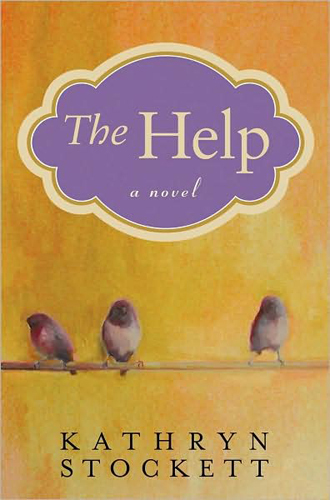 honestly, the help was a bit disappointing, it's a good story, and you really get sucked in to the plot, but then the story just kind of ends, so for me, there are definitely better ones. If you liked Hunger Games, read a similar concept that was written by a Japanese author a few years before, called Battle Royale. OMG! Please, please, please do a video on how you curl your hair!!! I love it!!! And Happy New Year Jen! I recommend Khaled Hosseini's "A Thousand Splendid Suns" and Carlos Ruiz Zafon's "Shadow of the Wind." Both are great reads!